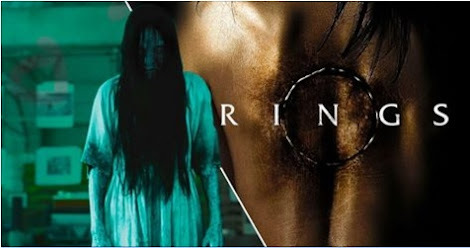 It’s been eleven years since Samara, the demonic girl trapped in a video tape, menaced horror fans around the world but now she’s back in a brand new trailer for upcoming film, Rings. Enter Julia (Matilda Lutz) a woman who becomes worried about her boyfriend after he becomes obsessed with a growing subculture surrounding the legendary vicious video that summons Samara to kill anyone who watches it in seven days. Doing what she can to save her boyfriend she makes a horrific discovery, there’s a ‘movie within the movie’ that no one has ever seen before and it seems to bring about a rather disturbing transformation in poor Julia. It’s interesting how the trailer takes into account the way things have changed since 2005, they don’t even make tapes anymore for example but unfortunately for us Samara’s managed to get an upgrade making the leap from analogue to digital. Rather than spreading her curse through thrill-seekers passing round tapes, people (presumably trolls) now email the footage to each other and a whole culture has evolved around Samara and the tape. It seems that the third film in the series, Rings, is based on a 2005 short of the same name which saw people passing the tape around and waiting as long as they possibly could before passing the curse on to someone else. Rings is being directed by F. Javier Gutiérrez, and written by David Loucka, Jacob Aaron Estes and Akiva Goldsman. Samara and Rings crawls into cinemas on October 28.